Expedia has some fantastic Birk travel packages Combining your bookings is one of the best ways to save time and cash — and get your trip off to a great start. Savvy vacationers who grab a package deal on Expedia will save up to C$590*. With more than 400 partner airlines and 321,000 properties to select from on our global database, you won't have any problems planning your ideal vacation. Don't worry about postponing your group's plans, as we don't charge additional cancellation fees for almost all of our bookings. It can be quite nice to just roam the streets in a new place, but sometimes it's a wise move to have a plan in place. Grab your schedule — we have plenty of cool ideas for your upcoming Birk vacation. You don't need to know your Rubens from your Rembrandts to roam the halls of Herning Museum of Contemporary Art. It features an excellent collection of works that'll engage your interest and get you thinking more deeply about art. Visitors have an excellent range of things to do in this destination. Love your art? Lay your eyes on some intriguing works and discover the meaning behind them at Carl-Henning Pedersen & Else Alfelts Museum. Still have time to spare? Elia's Dome stands as an important reminder of the past. Find out why this commemorative structure was built and understand a little more about local achievements and heritage. Seeking luxury getaways or cheap vacations near central Birk? Be sure to look up the available accommodations in advance. There are 2 properties within easy reach of this neighborhood. 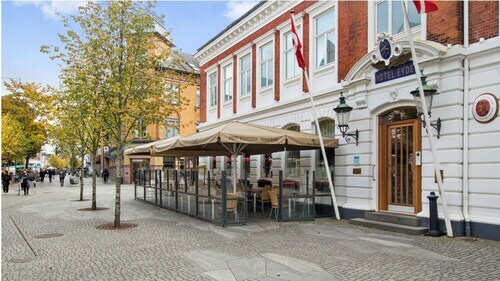 You will have the chance to explore the neighborhood from a comfortable base should you choose to stay at the Helts B&B (Klokkevænget 1) or the Hotel Birkegaarden (Engdahlsvej 14-16). Let's be honest, no one loves being at the airport. However, if you start to envision the fantastic trip to Birk ahead of you, you should be all right. After all, you'll be just 25 miles (40 km) to the south of the neighborhood center when the wheels hit the tarmac at Billund Airport (BLL). 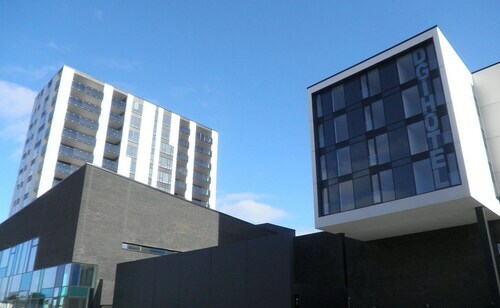 Situated in Herning, this hotel is within 1 mi (2 km) of Carl-Henning Pedersen & Else Alfelts Museum, Herning Museum of Contemporary Art, and Via University College. Elia's Dome and MCH Herning Kongrescenter (Conference Centre) are also within 1 mi (2 km). Herning Birk Centerpark Station is 26 minutes by foot. Situated in Herning, this golf bed & breakfast is within a 10-minute walk of Carl-Henning Pedersen & Else Alfelts Museum, Herning Museum of Contemporary Art, and Via University College. Elia's Dome and MCH Herning Kongrescenter (Conference Centre) are also within 2 mi (3 km). Herning Birk Centerpark Station is 19 minutes by foot. 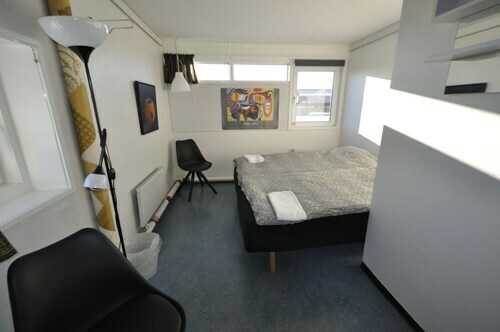 Situated in Herning, this hotel is within 1 mi (2 km) of Carl-Henning Pedersen & Else Alfelts Museum, Herning Museum of Contemporary Art, and Via University College. Elia's Dome and MCH Herning Kongrescenter (Conference Centre) are also within 1 mi (2 km). Herning Birk Centerpark Station is 27 minutes by foot. 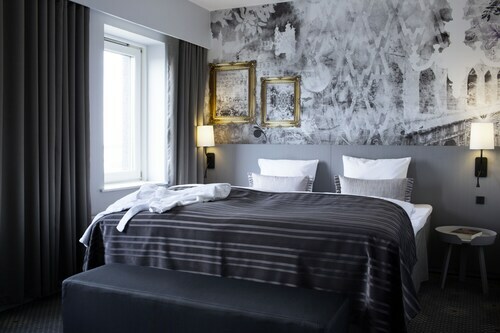 Located in the center of Herning, this family-friendly hotel is within a 15-minute walk of MCH Herning Kongrescenter (Conference Centre), Herning Museum, and Textilforum. Herning Station is 12 minutes by foot. 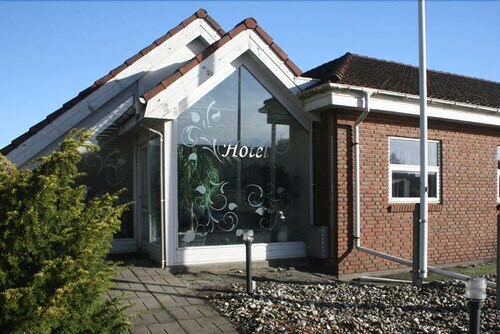 Situated in the business district, this hotel is within 3 mi (5 km) of Jyske Bank Boxen Arena, MCH Arena, and MCH Herning Exhibition Center. Herning Museum and MCH Herning Kongrescenter (Conference Centre) are also within 3 mi (5 km). 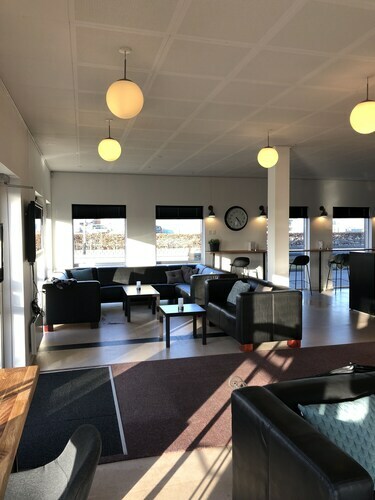 Located in the heart of Herning, this hotel is within a 10-minute walk of MCH Herning Kongrescenter (Conference Centre), Herning Museum, and Textilforum. MCH Herning Exhibition Center and Jyske Bank Boxen Arena are also within 3 mi (5 km). Herning Station is 8 minutes by foot. Situated in Herning, this golf hotel is within a 10-minute walk of MCH Herning Kongrescenter (Conference Centre) and Herning Museum. Textilforum and Baboon City are also within 2 mi (3 km). Herning Station is 9 minutes by foot. 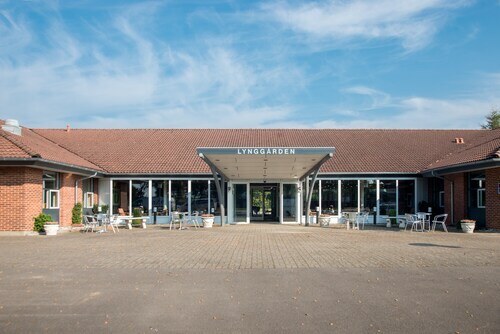 Situated in a rural location, this hotel is within a 10-minute walk of MCH Herning Exhibition Center, MCH Arena, and Jyske Bank Boxen Arena. Herning Museum and Textilforum are also within 2 mi (3 km). Messecenter Herning Station is 9 minutes by foot. Mon., 12 Aug. - Sat., 17 Aug. Sat., 21 Sep. - Sat., 21 Sep. Sun., 13 Oct. - Sun., 20 Oct.